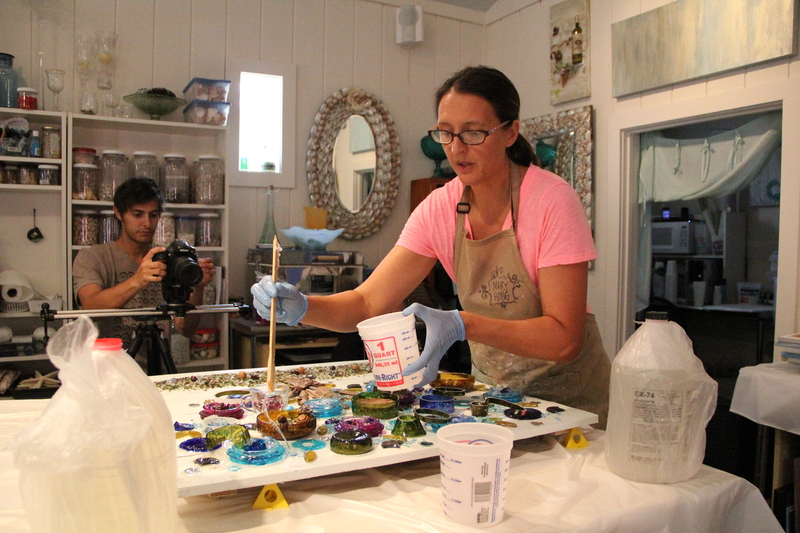 She explained that she dyes her own tempered glass and showed us a few variations of dyed glass in the studio. 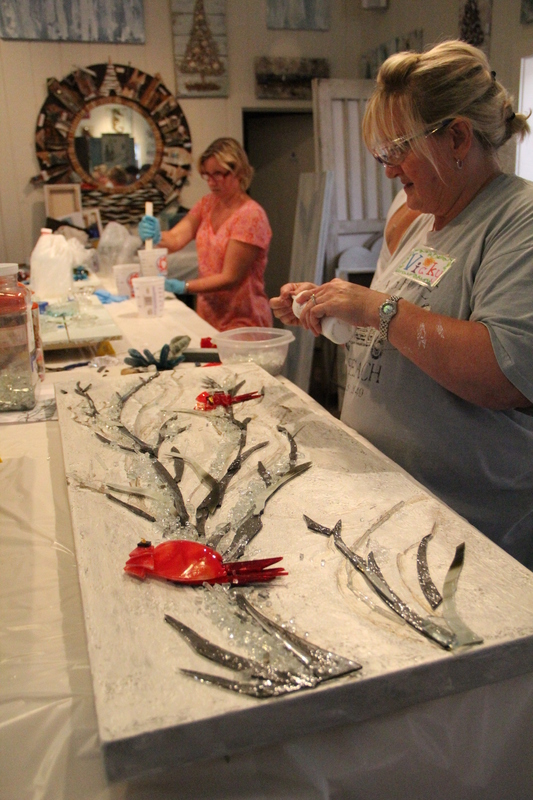 After the basics were covered, we started cutting and placing glass into our pieces. Mary guided us individually, as we each were doing something unique. 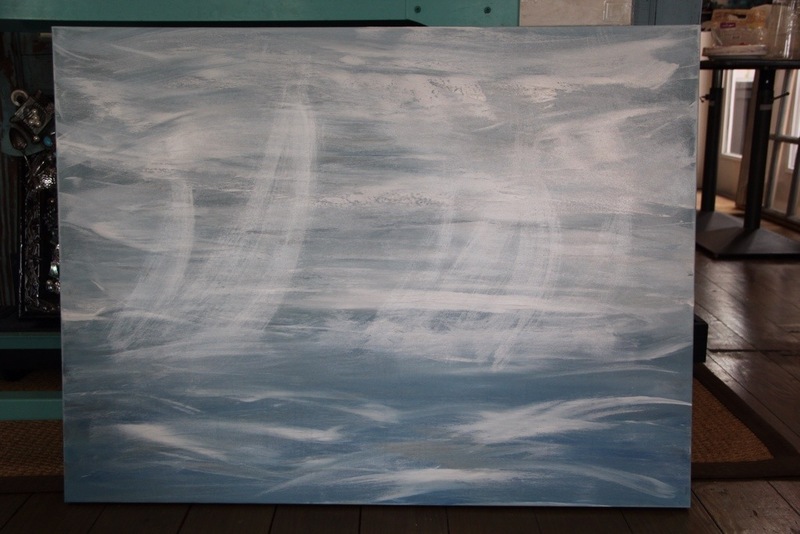 I had opted to do a piece based on sailing and my husband’s favorite artist, John Mecray. My goal was to capture the essence of sailing. 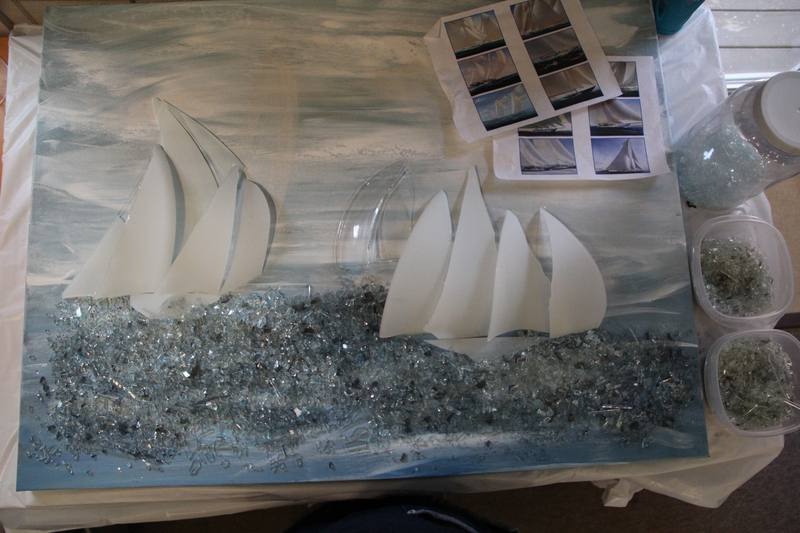 Mary had set aside a large frosted glass bell for me to use as the sails. She cut the first set as a demonstration, then supervised as I cut the second set. I arranged the pieces on the canvas & glued them down before we broke for lunch. 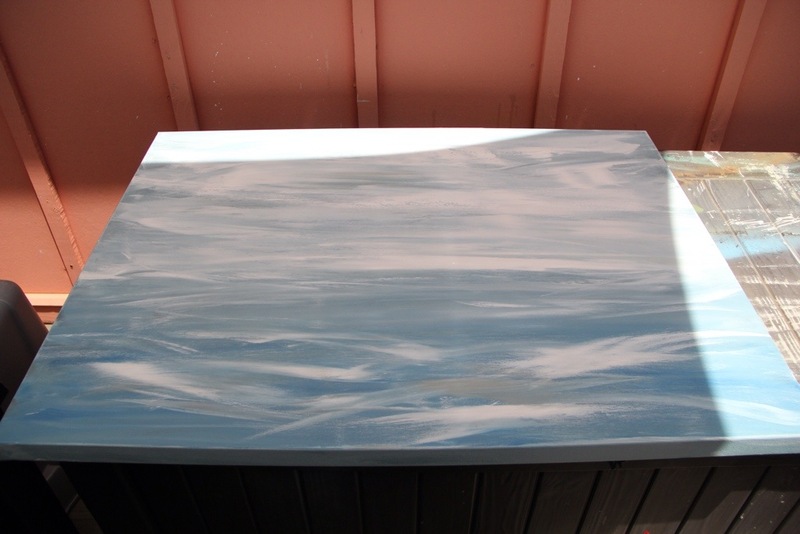 Once the sails were positioned and the hulls affixed, I sprinkled in crushed tempered glass to evoke a texture reminiscent of water. With a working surface solidly 36″ above the floor, and myself only 5’4″, I resorted to using my digital camera to get a flatter perspective of how my project would appear when upright. After several passes at arranging the glass to imbue it with the essence of waves I felt satisfied and ready to commit to the next (and biggest!) step. RESIN! Mary shared with us her preferred brands for this step, as well as how to measure out and effectively mix the material and how to evenly apply it to our creations. She orders by the gallons and uses liberal amounts in her work. 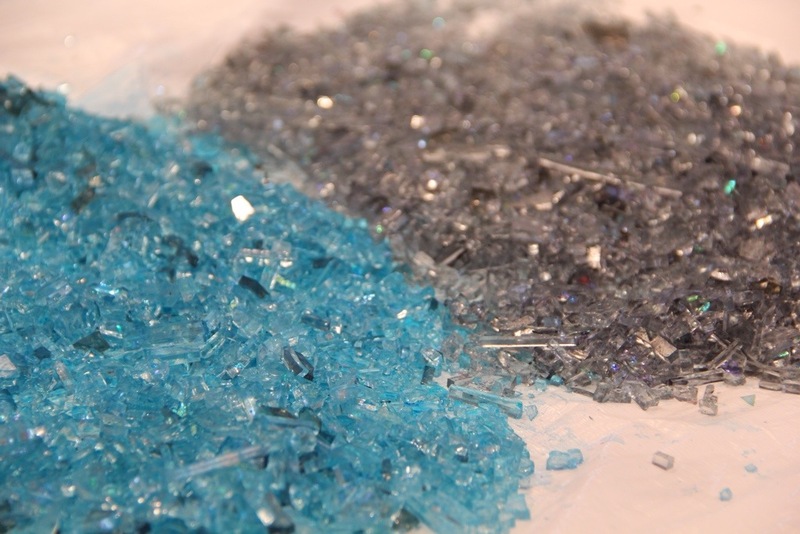 The resin binds the glass to the background and provides the smooth finished quality. 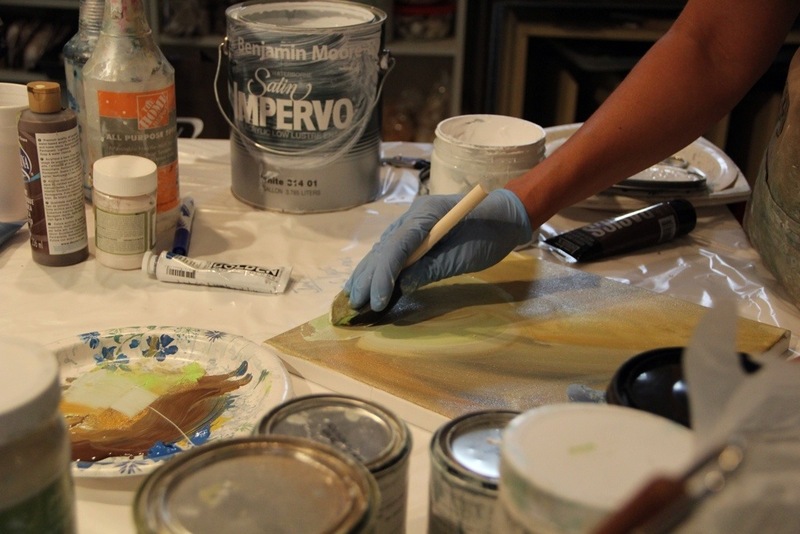 I was fortunate to be working in a studio where supplies were ample, as my project required double the amount I’d anticipated for my canvas. After adding resin to my work, I wandered about and perused the results of my classmates’ work. In the progress made since their original concepts over the last couple of days was truly impressive. My class consisted of a six classmates, myself and Mary, and the work we produced over those days was stunning. Having finished a little earlier than the others I left for the day to let my creation spend the night drying. The next morning felt a bit like Christmas. 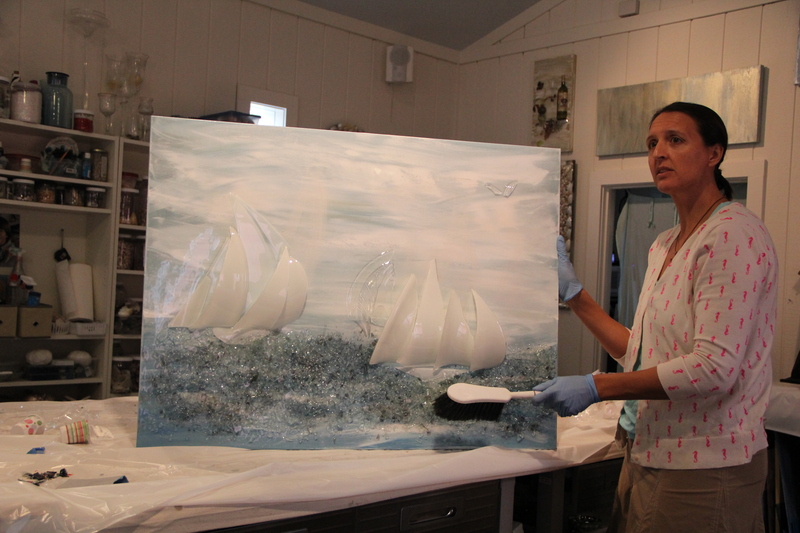 Mary completed the class by reviewing our work and showed us how to touch-up the pieces by brushing off the art and removing any stray resin as needed. She then hung all of our artwork so we could see the final results side-by-side. 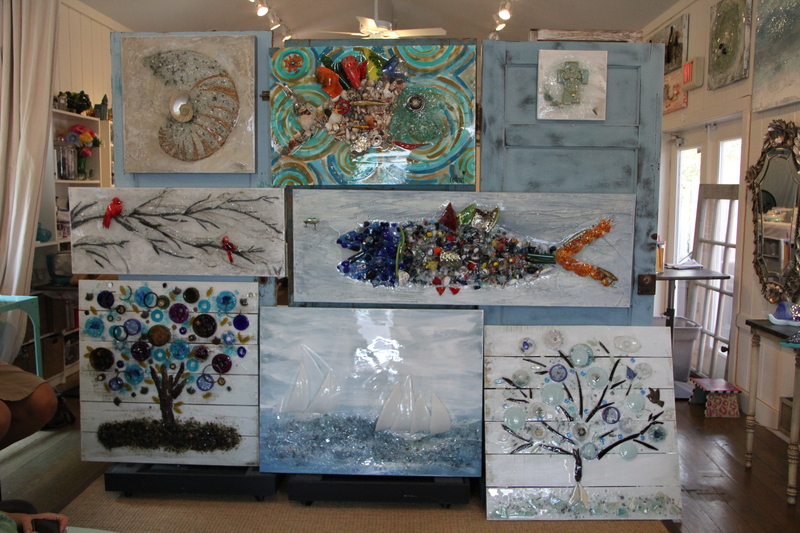 All the finished pieces hung together. In the glare of this photo my sailboats were pretty shiny and don’t show up very clearly, but all of the other pieces are well represented here. It was a rewarding experience and I was not only pleased to have participated, but am thrilled with what I was able to bring home. 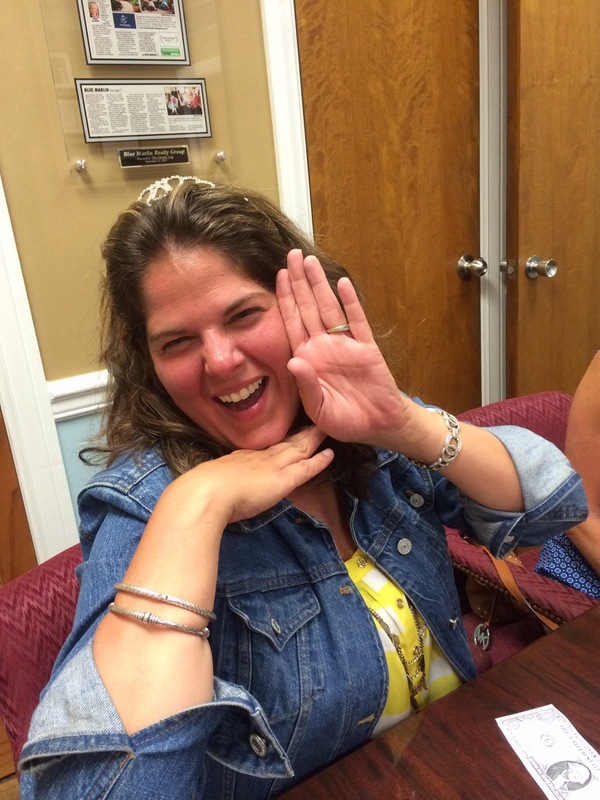 Mary was happy with the experience of this workshop as well and is planning more! 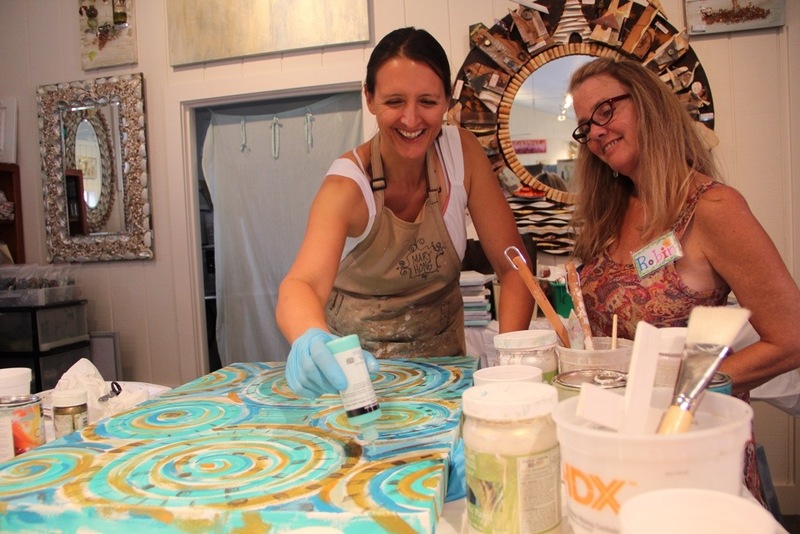 If you don’t feel you are quite ready for something more advanced, Mary offers regularly scheduled workshops in South Walton. Visit her web site for further information. 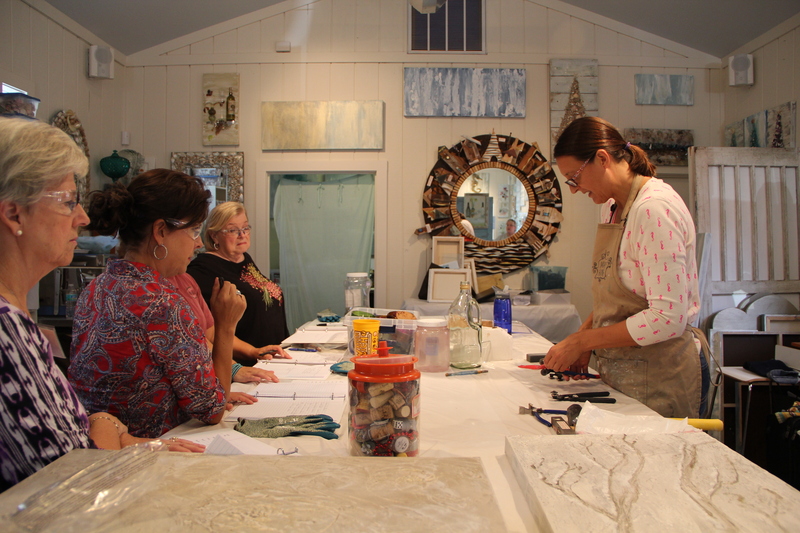 Last weekend I attended a three day workshop led by 2014 South Walton Artist of the Year, Mary Hong. 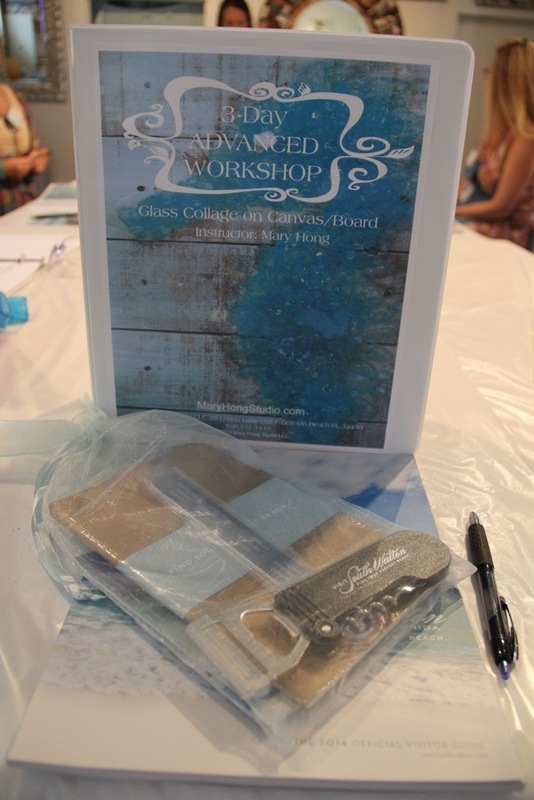 After much interest from many of her students once she started teaching glass on canvas classes, Mary decided to teach a 3 day intensive workshop covering everything from planning the art to resin. The first day of the class covered planning our piece, painting it and adding textures. 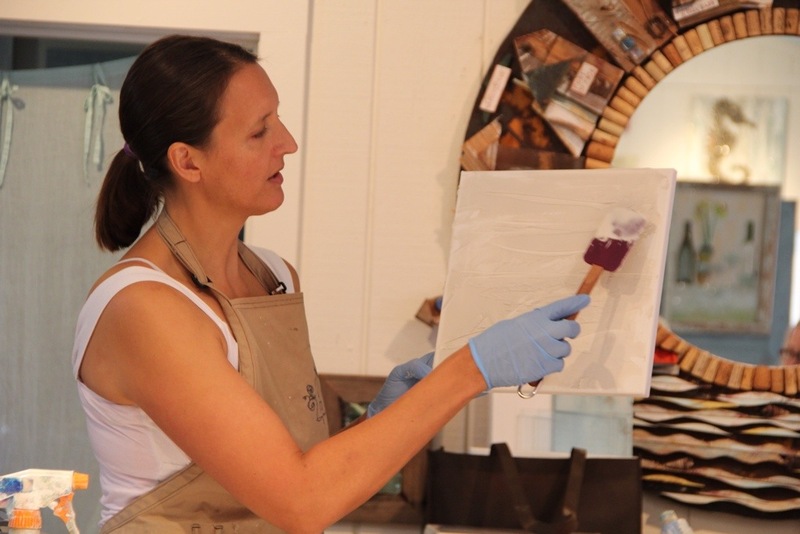 Mary showed us quick and easy ways to add texture that often are over looked. I plan to shop at my home supply store more often! 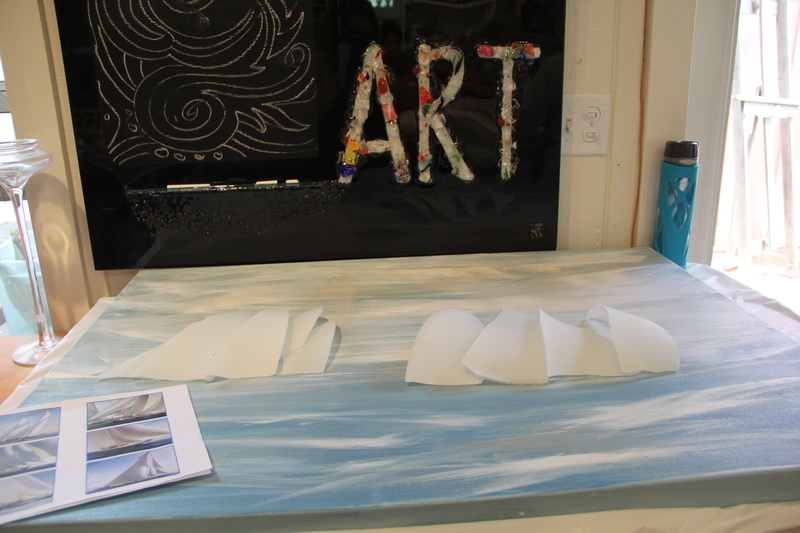 After texture was covered, Mary demonstrated how she sets up the backgrounds for many of her canvases. I really liked her technique as it uses more white and less color than I previously used. It was also super fast! I covered my 30×40 canvas in half the time it would normally take me to paint a 20×20. 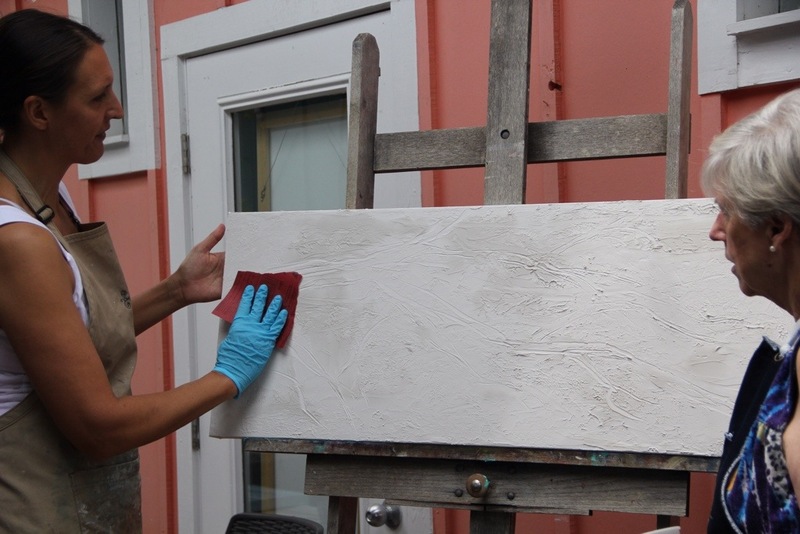 After putting on the first layer of paint, Mary covered texture for some of the other canvases. Mary collaborated with Robin of Redbird Art on her background. 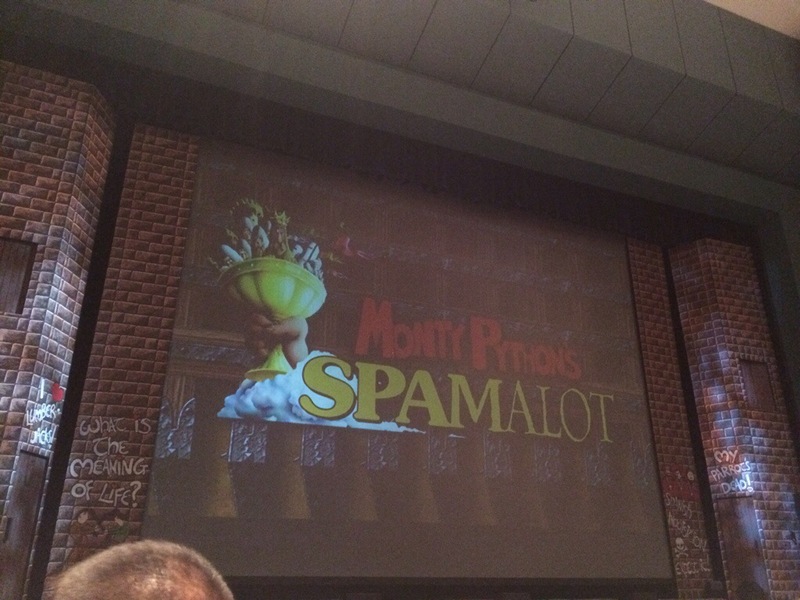 Last night hubby and I went to see the Northwest Florida State College’s performance of Monty Python’s Spamalot. 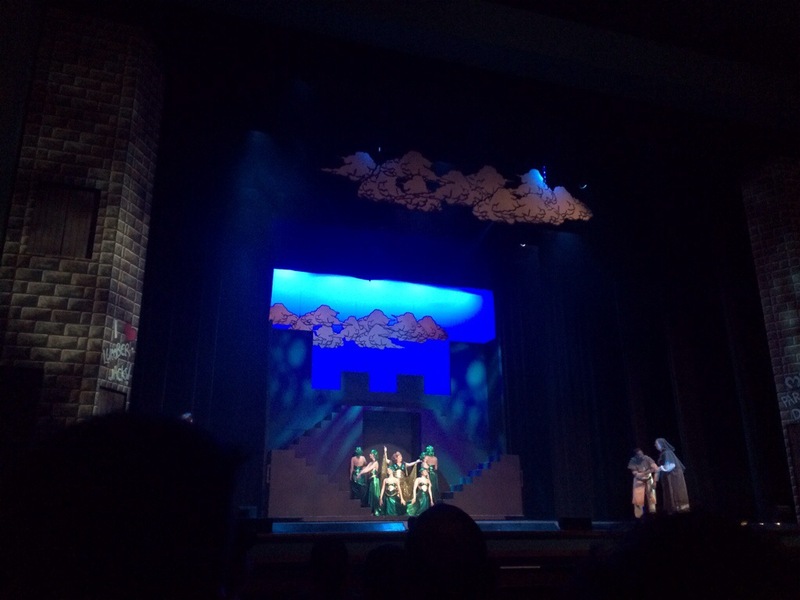 It was well executed and flawlessly performed. 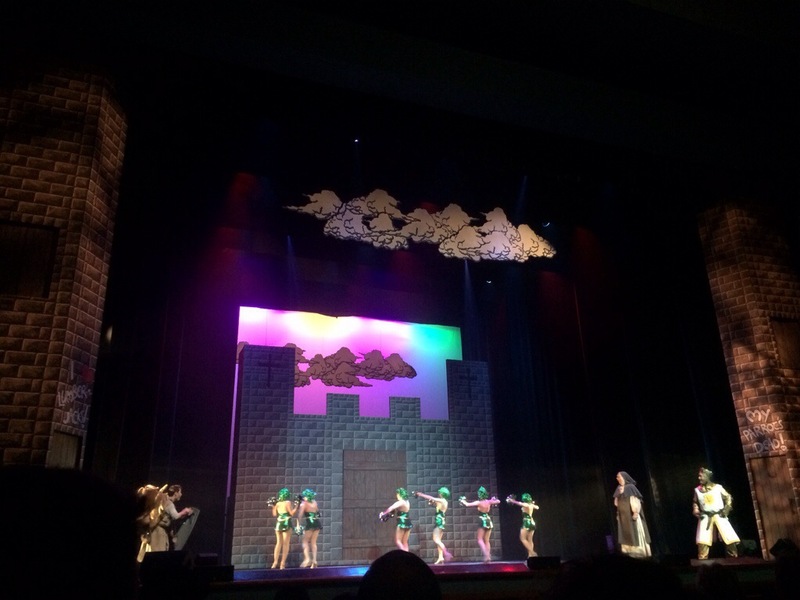 I haven’t seen this show before, but it was everything l love about Monty Python- irreverent humor and making fun of everything. The actors that played Robin and Lancelot were my favorite as they played a larger role than I remembered in the Holy Grail. I would recommend going and seeing it but it closed last night. What I can recommend is seeing any of the other shows they have queued up in the coming season. We are especially interested in the Upright Citizens Brigade coming in September. The Mattie Kelly Arts Center really is bringing culture to our little area and I am so grateful! Painting. Not as easy as it should be. After painting 6 samples on the wall, we finally settled on the one shade that my friend had been suggesting that we consider from the start- Tawny Taupe. We loved it. Another trip to the store and the painting was completed. 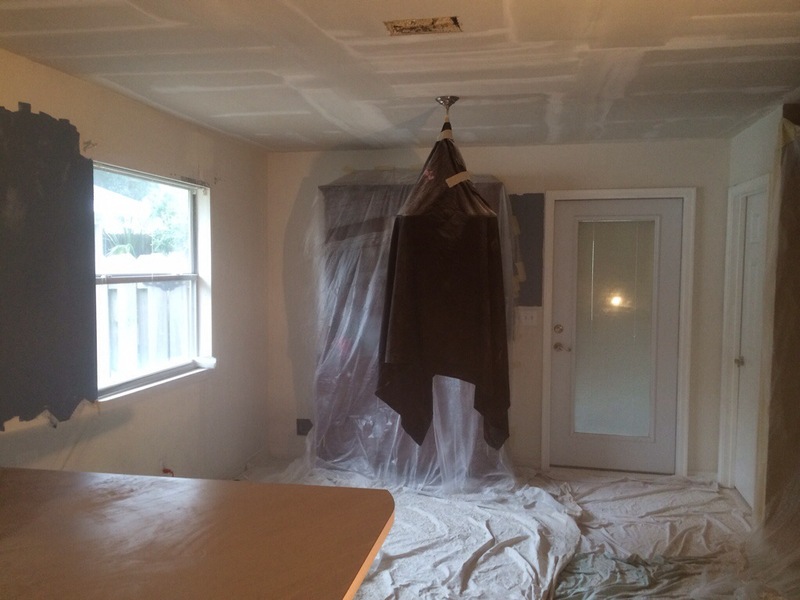 We were so eager to be done and move to the next phase that we wasted no time painting. Shortly after we started planning what materials to replace our floors with, it occurred that we would need to repaint. And if we needed to repaint, why not replace the ceiling texture? As you can see, it was musty and dusty. 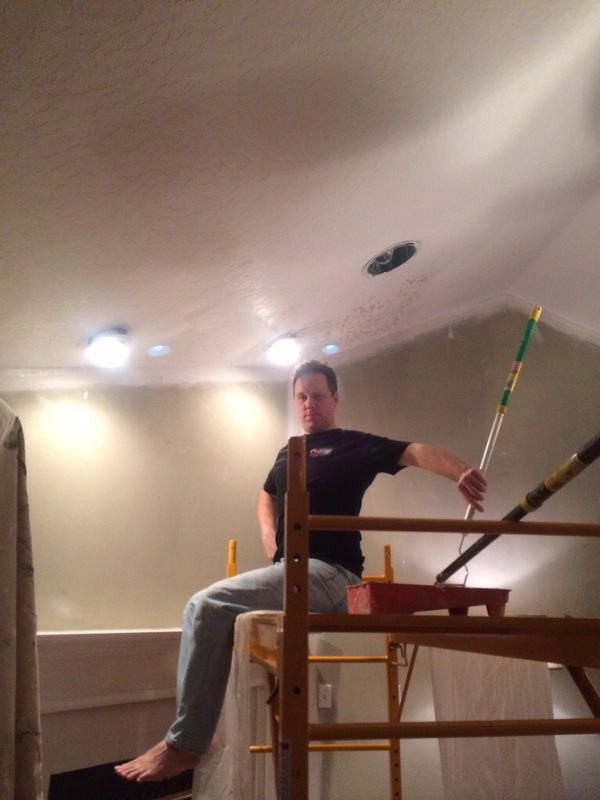 Isaac Grant was our sheetrock guy and he did a stellar job. In addition to scraping everything, he repaired several places that needed new tape or were finished incorrectly. After that, he added new texture called Skip Trowel. 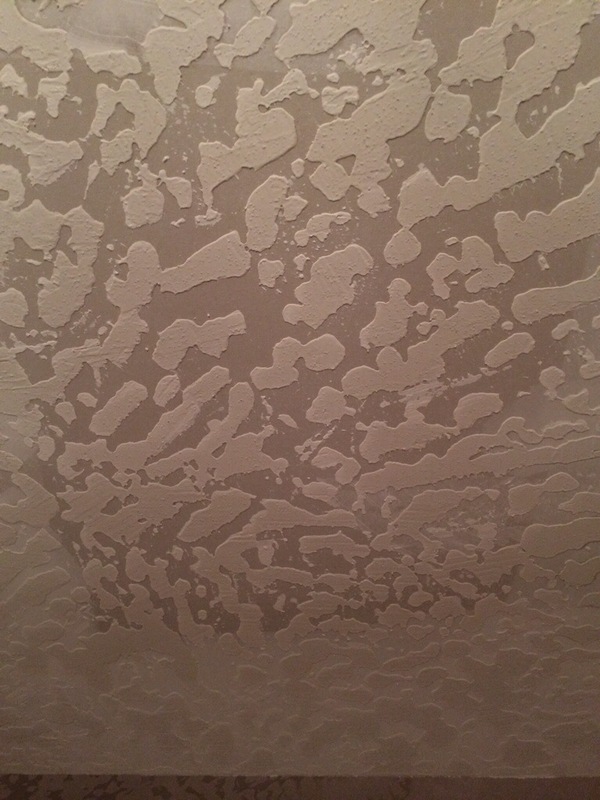 This was the texture added to the ceilings throughout our living areas. Man, it is pretty. Now Isaac doesn’t paint, so we were left to do that part ourselves. 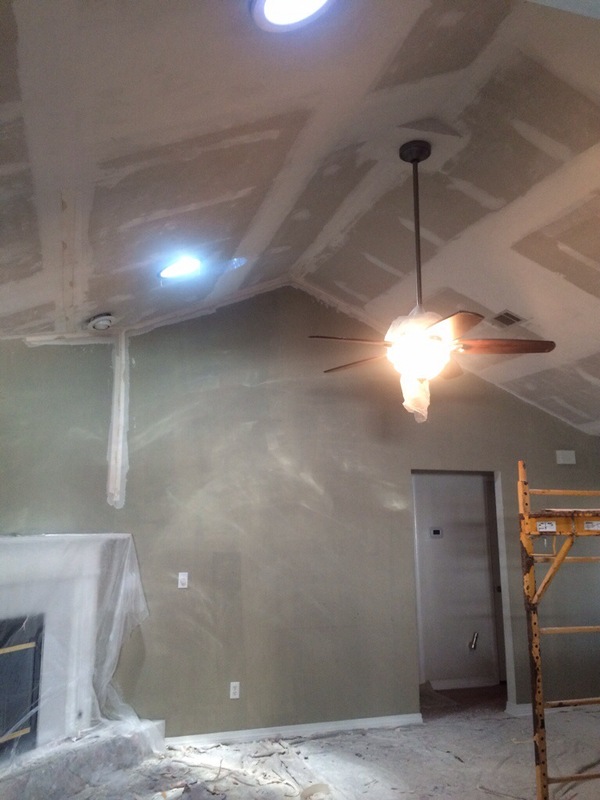 Once the ceilings were fully painted, we turned our attention to the walls. And we had quite a few walls to consider. Last December I cleaned my house thoroughly for a home appraisal for a refinance. I am an appraiser and know that we don’t check under furniture but my manic cleaning defied logic. There is “friend clean”, “family from out of town clean” and then there is “stranger clean.” (You know, the “I have to have this house immaculate” level of clean.) In my ferver to make the house beautiful and illogically do better on the appraisal, I was moving furniture and frantically cleaning. I pulled out the couch and was horrified. My wood floors were black. Apparently something was leaking and doing this. I narrowed it down to my dishwasher. 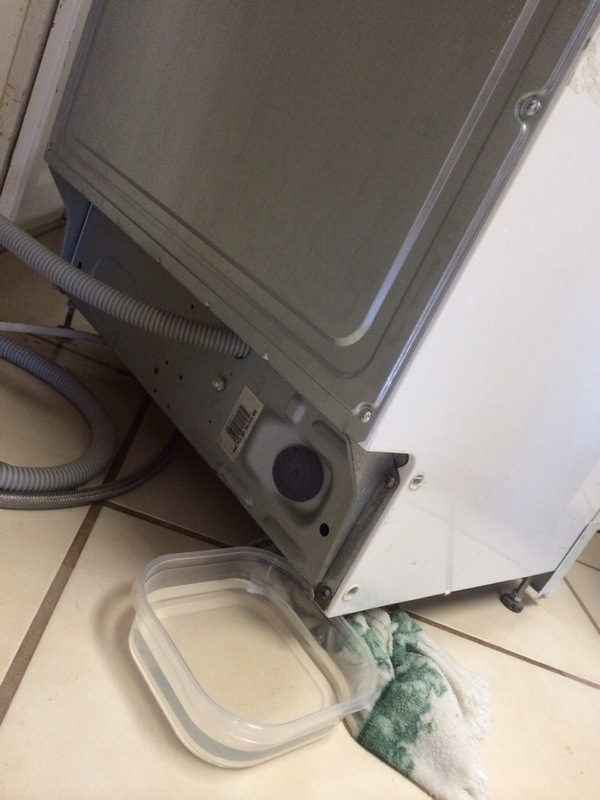 The traitorous appliance was leaking from a back drain line to the wall between the kitchen and living room. Hubby quickly replaced it with a shiny new stainless steel dishwasher that is so quiet, I don’t realize that it’s running half the time. Unfortunately the damage was already done. 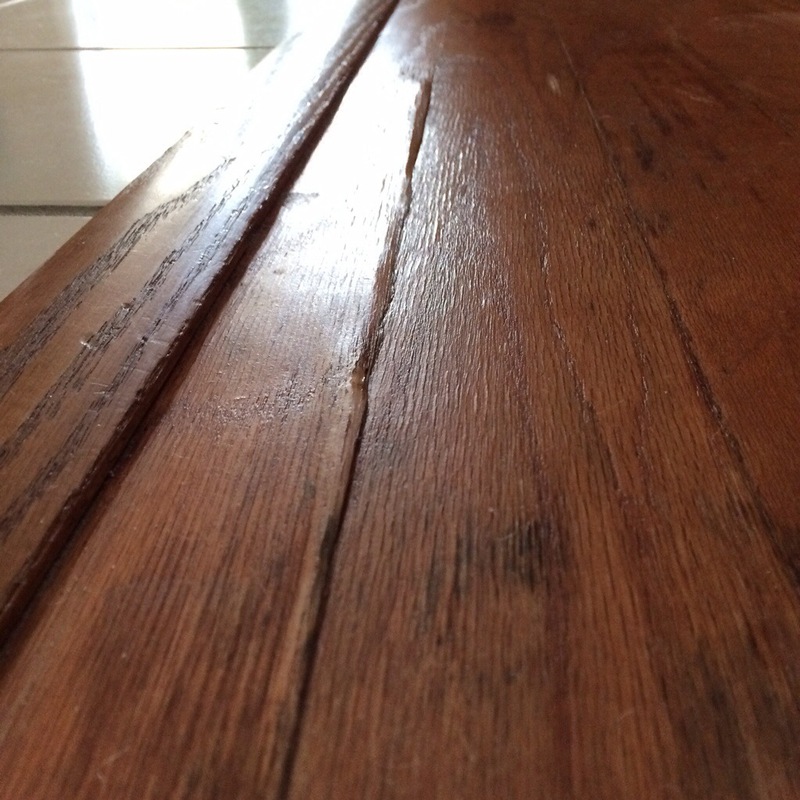 Discolored floors and a cracked cabinet later, we decided to contact our homeowners insurance to determine what we should do next. 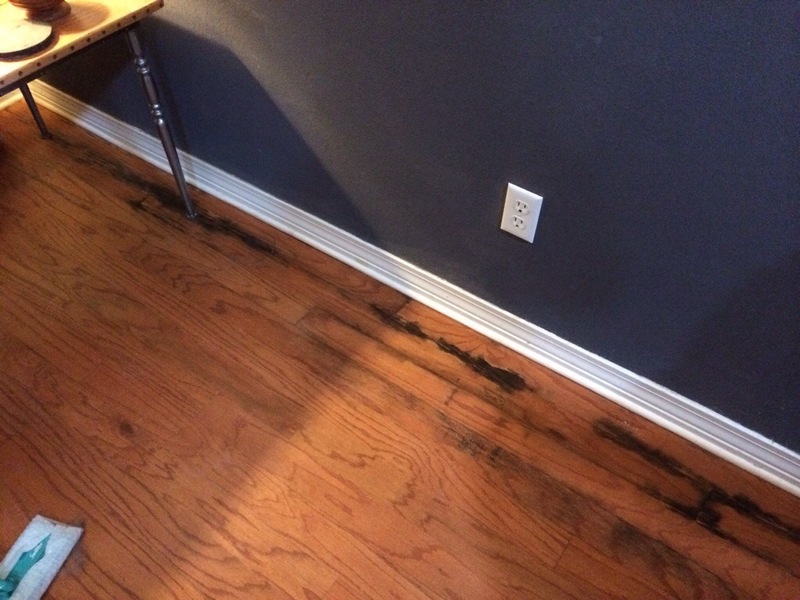 I was concerned about mold, especially under the wood floors where moisture had been an issue for such an undiscovered long time. 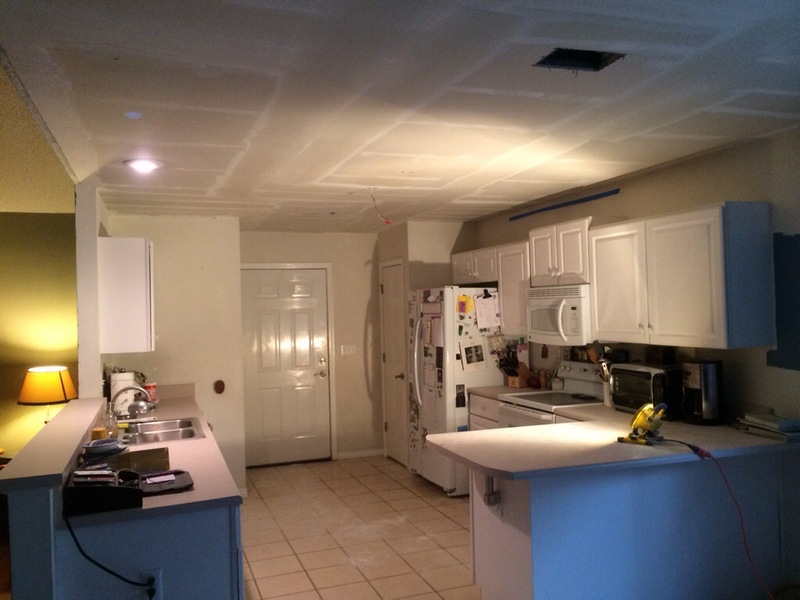 After the insurance adjuster came out, he quickly determined that there was not mold visible under the kitchen cabinets. He did decide to pay to replace the wood flooring and half of the kitchen cabinets. I think they were fair with their assessment and settlement. However it was just the start of a grand, messy adventure for us. 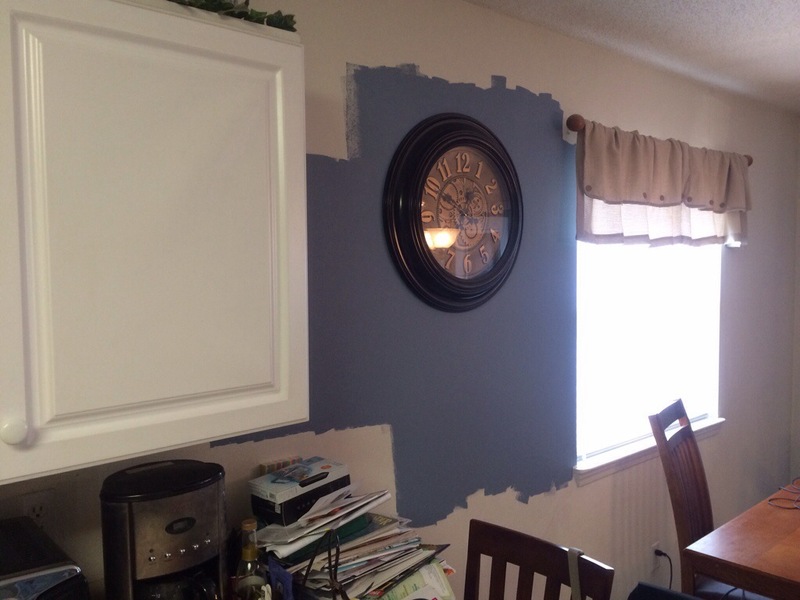 This is part 1 of the kitchen/living area remodel. The rest of the story I plan to post as quick as I can write it over the next few days. Destin is a neat community. So many of the full time residents cross paths on a regular basis. It is such a common thing that I joke with Cam that there is less than two degrees of separation between most of the people here. Even if you aren’t a local, after a week or so you will have run into someone that I know. 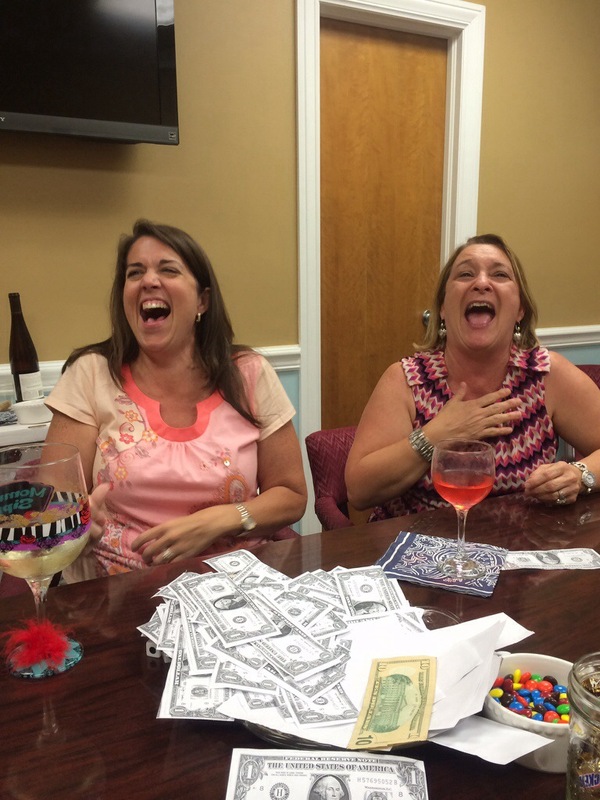 To help increase the camaraderie with the moms in the area, one of our group started a Bunco night once a month. 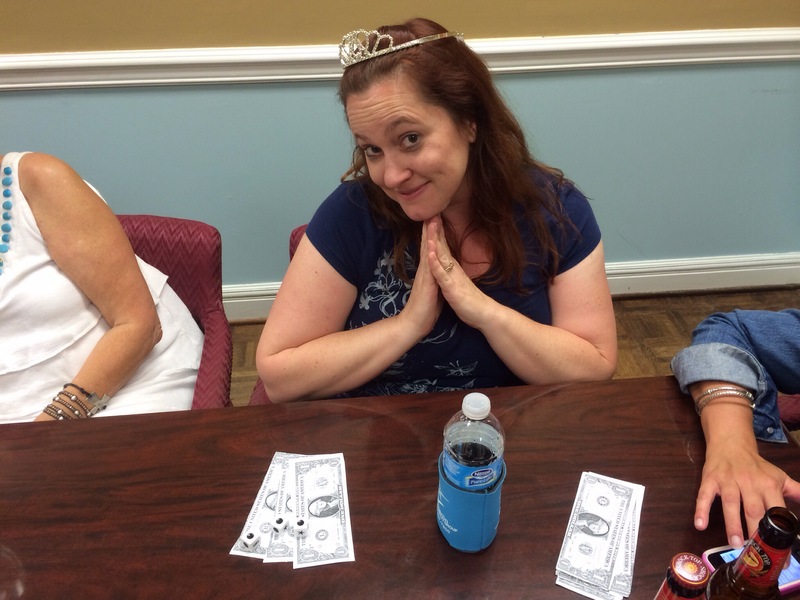 If you’ve ever played Bunco, you can attest to how easy it is. Really the point of the game is to drink wine and catch up on the latest gossip with the excuse of rolling dice and occasionally yelling Bunco! (Something you get when you roll all the dice in the chosen number for the round.) I’ve played for charity before and with other groups but this group has been fun, mostly because I know some of the ladies with enough new faces to expand my circle of friends. 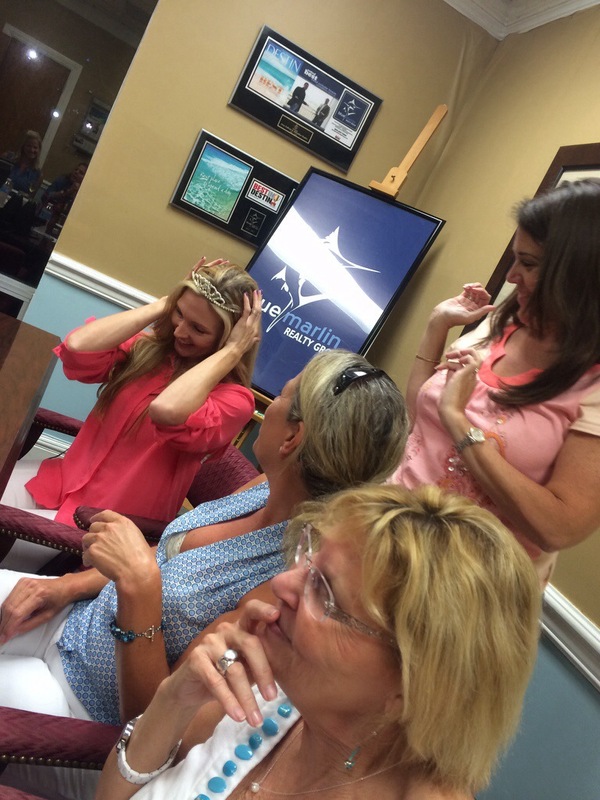 Last week was our monthly Bunco meeting and we met at the local offices of a real estate group owned by our hostess. We spent more time socializing than usual, so it was tossed around as to if we should play or just hang out more. Then our hostess brought out a different dice game to try. 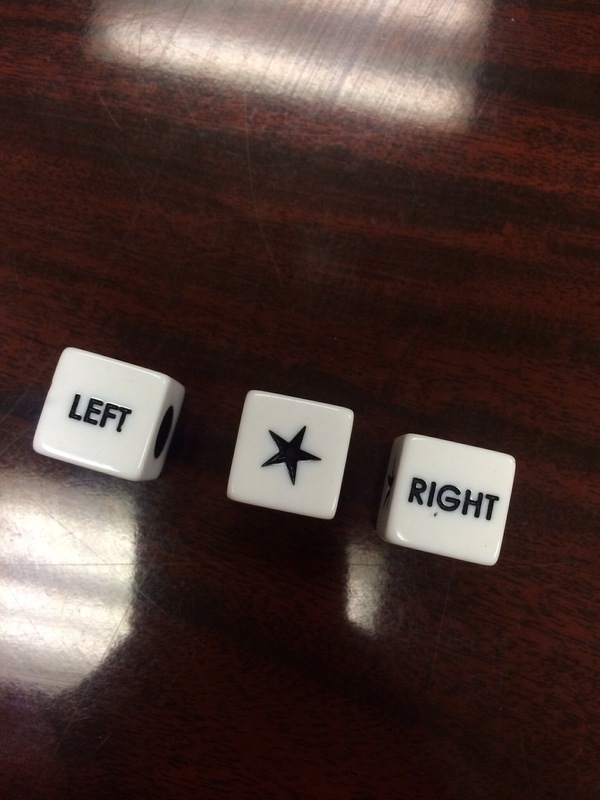 It was called Left Right Center and was easy to pick up, even after a glass of wine. 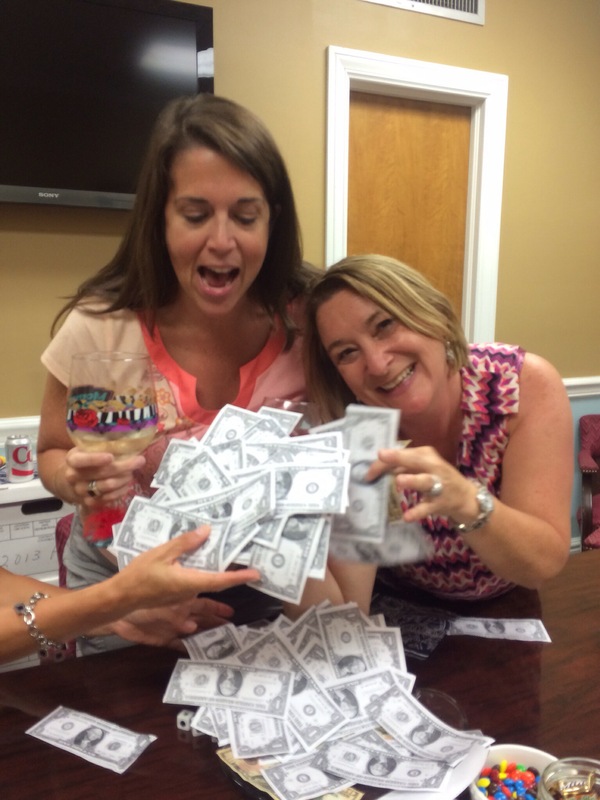 We photocopied a few ones to represent the pot (we each contributed $10) and everyone started with $10 in fake ones. The point of the game is to end up with all the money. Much of it ends up in the center with some getting passed left or right. 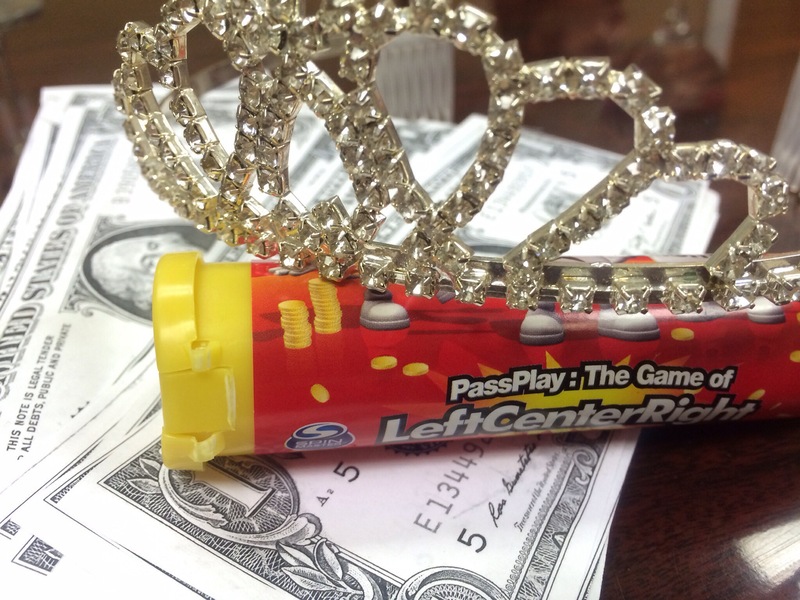 Each time someone rolled all dots and got to keep their ones, we passed around a tiara. 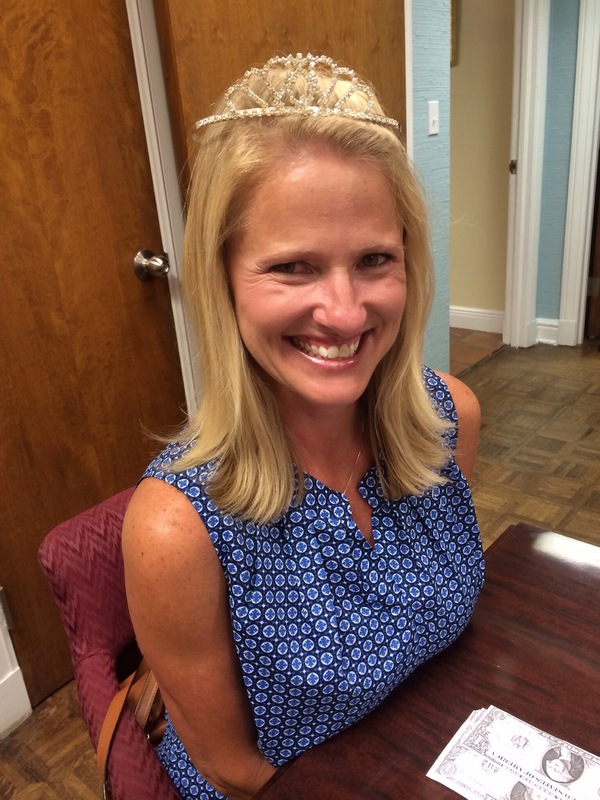 Everyone had a chance to play princess! It ended up with Audrey and Tina having the last of the pot and deciding to split it. The entire evening was a blast and I can’t wait to see what next month holds! 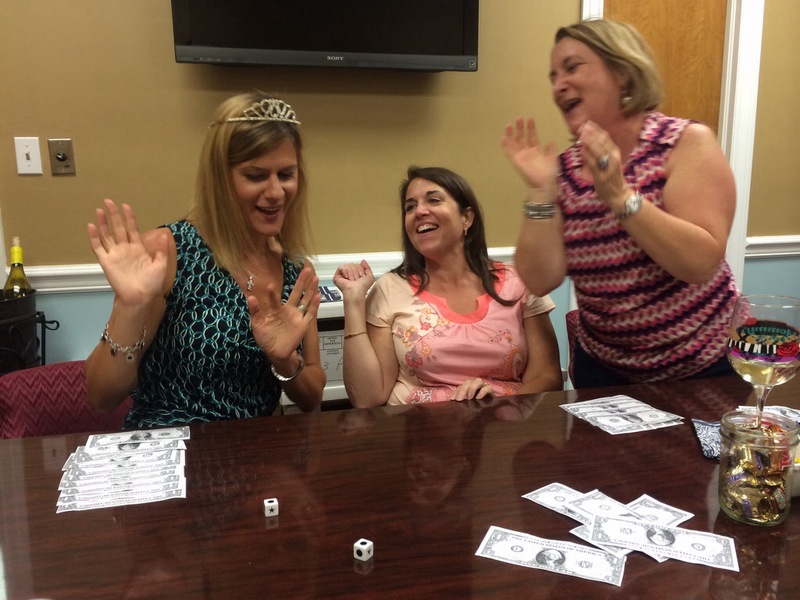 Do you play Bunco in your area?